Explanation: Palomar 12 was not born here. The stars of the globular cluster, first identified in the Palomar Sky Survey, are younger than those in other globular star clusters that roam the halo of our Milky Way Galaxy. Palomar 12's position in our galaxy and measured motion suggest its home was once the Sagittarius Dwarf Elliptical Galaxy, a small satellite of the Milky Way. Disrupted by gravitational tides during close encounters the satellite galaxy has lost its stars to the larger Milky Way. Now part of the Milky Way's halo, the tidal capture of Palomar 12 likely took place some 1.7 billion years ago. 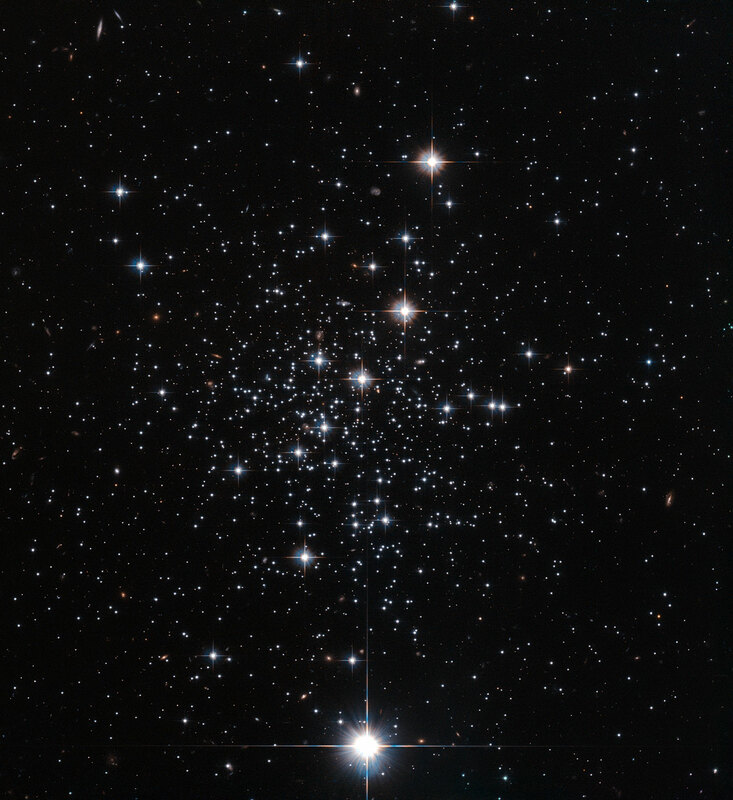 Seen behind spiky foreground stars in the sharp Hubble image, Palomar 12 spans nearly 60 light-years. Still much closer than the faint, fuzzy, background galaxies scattered throughout the field of view, it lies about 60,000 light-years away, toward the constellation Capricornus.